Dr. Li Zheng, PhD, Lic. Acu. Dr. Li Zheng is a graduate of the Beijing University of Chinese Medicine, the most prestigious institution of traditional Chinese Medicine (TCM) in China. After graduation, she completed a 3-year apprenticeship with Dr. Shaoqin Zhao, a renowned practitioner of TCM whose family members included imperial doctors of the Chinese emperor. In the US, Dr. Li Zheng received her PhD in neuroscience from the Medical College of Ohio (now the College of Medicine and Life Sciences at the University of Toledo) and did her post-doctoral training at the Massachusetts General Hospital. She is a professor at the New England School of Acupuncture, a Director of Natural Medicine at the American Chinese Medical Exchange Society, and a consultant for Health Grid Inc.
She blogs about health at her blog, AcuHormone, and has popular video demonstrations of acupuncture on her YouTube Channel, @AcuOptimalHealth. 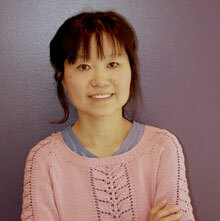 Dr. Li Zheng’s first book combines her training in traditional Chinese medicine and her PhD work in neuroscience. Acupuncture & Hormone Balance is unique in its treatment of acupuncture based on its effects on different hormone levels. 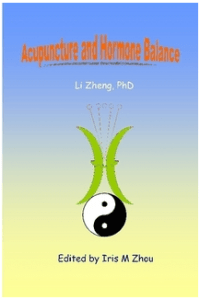 Each chapter is focused on the effects of acupuncture on one group of hormones. For example, the infertility chapter examines the role of acupuncture on the balance of progesterone and estrogen in a woman’s body. In her exhaustive research for this book, Dr. Zheng cites hundreds of recent scientific studies on the therapeutic benefits of acupuncture. If you were ever curious about how putting needles into the body can help you feel better, this is the book for you! In this book, Dr. Li Zheng describes how acupuncture and Chinese herbs is used to treat the 12 most common diseases encountered at a typical clinic, from allergies and asthma to low testosterone and vertigo. 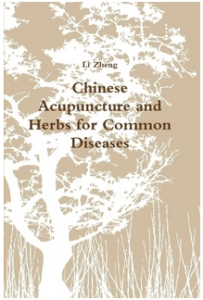 Dr. Zheng condenses over 26 years of clinical experience into this easy-to-read volume that goes through the root causes of these diseases, medical treatments for the symptoms, including how acupuncture and Chinese herbs can help, and finally steps to preventing recurrence. Also included are case studies where you can see for yourself how the small decisions we make on a daily basis can have complex and far reaching effects on our health.